Remember those heady days, right around New Year’s Eve, when you made a resolution to finally get yourself a gym membership and start working out again? Because you were dedicated to making 2019 the year you shed those extra pounds or toned your physique or just led a healthier life. Easier said than done, right? By the time February rolls around, many of us have either forgotten or neglected those annual resolutions. In large part because it’s hard to get motivated to alter your routine, carve out an hour or two for something new, or fit a different activity into your daily life. It’s much easier to stick with what you know, past goals and promises notwithstanding. That’s entirely understandable. But I have a better reason than New Year’s resolutions for you to hop off the couch and get moving on a treadmill or a local bike path: every time you exercise, you strengthen the one muscle that is absolutely non-negotiable for a healthier and happier life – your heart. In Europe, World Health Organization estimates indicate that more than one third of adults are insufficiently active. Exercising on a regular basis, on the other hand, has immense benefits, seen and unseen. You can help avoid being struck by cardiovascular disease, which according to the European Heart Network, accounts for 45% of all deaths in Europe and 37% of all deaths in the EU. By living a more active lifestyle, you can reduce your risk of heart problems, improve cardiac function, muscle strength, joint mobility, and your sense of wellbeing. You’ll also be keeping your blood pressure, cholesterol, and sugar down at normal levels. All it takes – alongside a better diet and healthier life overall – is carving out around 150 minutes a week for moderate-intensity aerobic activity. Put another way, just 30 minutes of brisk walking or light exercise per weekday will do wonders for your heart. Trust me: it’s worth it. This is personal for me. At the young age of 56, my father passed away from a heart attack. I know the toll it takes when we don’t take care of our hearts. I don’t want others to endure the same pain my family did far too early. Thankfully, many of these heart health challenges are preventable. Better yet, when you take the steps that are in your control – like exercising and eating right – you feel the benefits almost immediately. 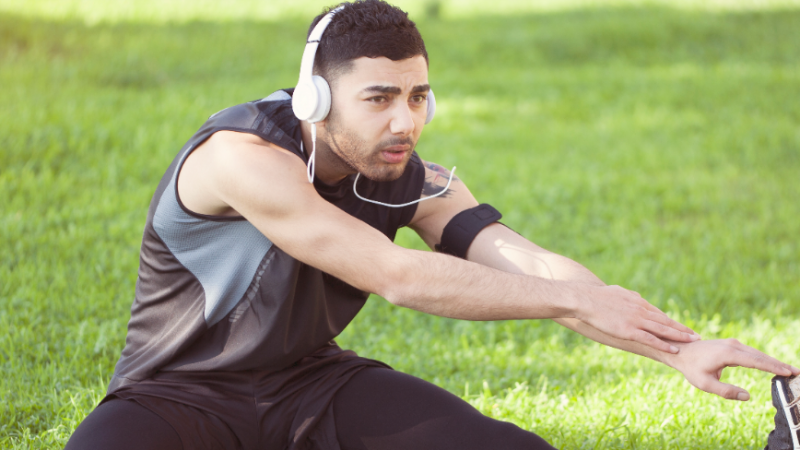 In fact, after focusing on a cardio training programme for a couple of weeks, exercise will become easier and everyday tasks won’t leave you short of breath as easily. And whether you can sense it or not, your heart will become more efficient at pumping blood; your heart will have to work less to sustain bodily functions; and your heart will be stronger, for longer, overall. Here’s the bottom line: skip talk of your overdue resolutions. Pick up a hobby that’ll do good for your heart and your health. It can be walking, running, cycling, dancing, swimming, and really anything that gets your heart rate going. All of it will prove a net positive for you, your health, your well-being, and your happiness now and down the road.